Prescription sunglasses are important to prevent your eyes from sustaining the damage that can be caused by UV rays. 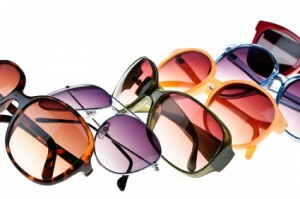 Parrelli Optical offers stylish options of prescription sunglasses in the Middleton, MA area at an affordable price. Both children and adults should be wearing sunglasses to prevent damage to the eyes. Since the cumulative effects of exposure to sunlight have been found to do the most damage to eyes, it is important for everyone to wear sunglasses when spending time outdoors during the day. Squinting in the sun is uncomfortable, and failing to make an appointment to get prescription sunglasses can actually lead to significant damage to the eyes. Eyes that are exposed to UV rays on a regular basis can develop conditions including cataracts and glaucoma. While cataracts can be corrected surgically, glaucoma that is left untreated can result in blindness. Most people are not aware that eyes can even get a sunburn. Sunburn on the eyes leads to irritation and redness. There is also a gritty feeling in the eye when a sunburn occurs. Eyelids are also protected by sunglasses. The sensitive skin on the eyelid can be easily damaged by UV rays. As with any other area of the skin, exposing the eyelid to sunlight and harmful UV rays could even lead to skin cancer. Call Parrelli Optical to keep your eyes protected from the sun with prescription sunglasses in Middleton, MA.